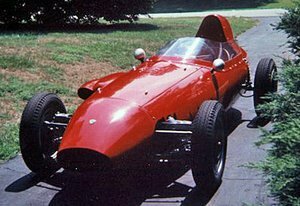 Arzani-Volpini (also known as Scuderia Volpini) was an Italian Formula One constructor, established by Gianpaolo Volpini and engine-builder Egidio Arzani. 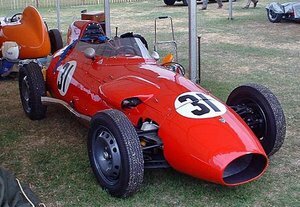 Volpini was initially involved in the lower classes of Formula racing, such as Formula Junior and Formula Three. 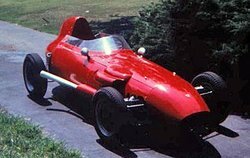 Volpini joined forces with Arzani in 1954, hoping to enter the Formula One World Championship. 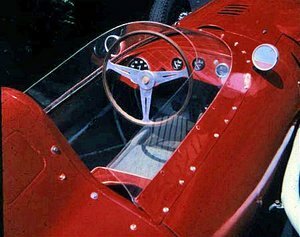 To this end, the team purchased the chassis of the 1950 Scuderia Milano-Maserati for the 1955 Formula One season. 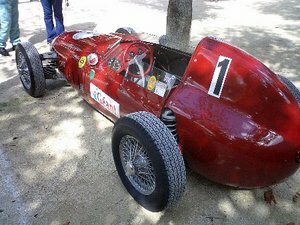 The team subsequently improved the engine and the bodywork of the car. 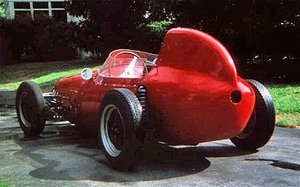 It was entered in the 1955 Valentino Grand Prix for Mario Alborghetti, but it could not be constructed in time. The team made its debut in the 1955 Grand Prix de Pau, where Alborghetti suffered a fatal crash. The team contested only one Formula One World Championship Grand Prix, the 1955 Italian Grand Prix. 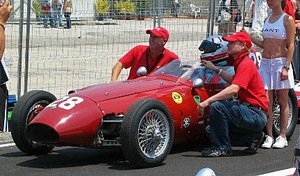 Driver Luigi Piotti drove the car, but did not start the race due to a problem with his Maserati 2.5 L6 engine. The team did not return to Formula One afterwards. Instead, they continued to make cars for Formula Junior and Formula Three. One of the customers was Lorenzo Bandini. Tubular chassis. Step 209cm. Front track 123cm. Rear track 123cm. Front suspension to inferior and advanced oscillating triangles, telescopic shocks-absorber and coaxial cylindrical motivating force. Rear suspension to inferior oscillating trapezes, advanced cross-sectional crossbow, telescopic shocks-absorber. Motor front Fiat 1,100/103. Bore 68mm, run 75mm. Piston displacement 1,089 cm3. Power 68 CV to 6.200 turns/min. Feeding with a carburetor double Weber horizontal body. Change of Fiat derivation, to 4 marce + RM. Drum brakes on the four wheels. Front tires 4,25x15. Rear 5,20x14. Similar to the previous version, it comes introduced the Rear suspension to rigid bridge with longitudinal struts, telescopic shocks-absorber and coaxial cylindrical motivating force. Motor front Fiat 1,200. Bore 68mm, run 75mm. Piston displacement 1,089 cm3. Power 77 - 85 CV to 6.500 turns/min. Feeding with two horizontal carburetors double Weber body. On the same chassis it came mounted also motor DKW from 1.088 cm3, 2 times, 3 cylinders. Bore 78mm, run 76mm, power 80 CV to 6.200 turns/min. Tubular chassis to attice. Step 215cm. Front track 121cm. Rear track 125cm. Front suspension to oscillating triangles, telescopic shocks-absorber and coaxial cylindrical motivating force, torque arm. Rear suspension to inferior oscillating triangles, advanced arm, longitudinal struts of reaction, telescopic shocks-absorber and coaxial cylindrical motivating force, torque arm. Motor Lancia Appia 1,089 cm3, Rear. Bore 68mm, run 75mm. Power 85 CV to 6.200 turns/min. Feeding with a carburetor double Weber horizontal body. Change of Lancia derivation Aurelia, to 4 marce + RM. Drum brakes on the four wheels. Front tires 145x15. Rear 145x15.